Gravity‘s recent box office success proves that people are interested in space-set disasters, probably because it’s been quite a few years since such a tragedy struck in real life. 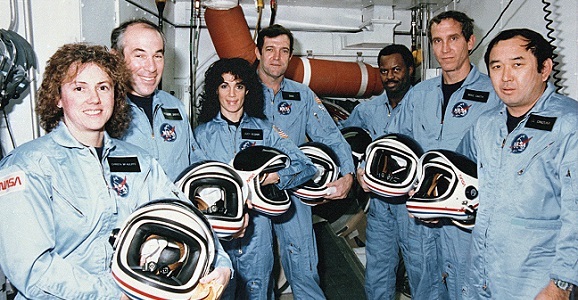 Do you remember where you were on January 28, 1986 when the Space Shuttle Challenger met its disastrous end over the Atlantic Ocean? The Challenger Disaster, Science Channel’s first foray into scripted programming, will allow viewers to experience a dramatized version of the events when it airs on November 16th. In an effort to get the film out to an even wider audience, Discovery Channel will be simulcasting the film, which was co-produced by the BBC, at 9 p.m. Given Discovery still occasionally airs things that are about science and space, it’s a good move for everyone involved. This year, Science Channel has averaged around 304,000 viewers, with 117,000 in key demographics, while Discovery Channel is getting around 1.3 million viewers, with 660,000 in the 18-49 set. Surely, the increase in viewers still equals to numbers much smaller than many hit dramas on other cable stations, but it’s a big one percentage-wise, and this film should definitely get more viewers than the averages. I’m going to watch it on Science Channel because I like an underdog. With speed of lightning and roar of thunder, the Challenger exploded just over a minute after liftoff, instantly killing its crew of seven as millions of people watched on television. Thankfully, the film will focus on the legal aftermath rather than the tragedy itself. Based on genius physicist Dr. Richard Feynman’s memoir What Do You Care What Other People Think?, the docudrama will follow Feynman (William Hurt) and his involvement in the Rogers Commission assembled to investigate what went wrong. He was the one who demonstrated that the shuttle’s O-rings were to blame, along with co-member turned ally U.S. Air Force General Donald Kutyna, who will be played by Bruce Greenwood (J.J. Abrams’ Star Trek). The rest of the cast includes Brian Dennehy (First Blood) as Commission leader and Secretary of State William P. Rogers. Joanne Whalley (Willow) will play Gweneth, Feynman’s wife. Eve Best (Nurse Jackie) will play astronaut Sally Ride, and English theater actor Henry Goodman will play Feynman’s oncologist Dr. Weiss. The film is directed by James Hawes (Doctor Who) from a script written by Kate Gartside (Mistresses). Not that +NASA needs any bad press, no matter how old the events are, but it sounds like it could be a good watch and a reminder that everyone’s renewed interest in going to space needs to be grounded in safety before attempts can be made to go soaring off into the cosmos. That was a very sad day. I was a senior in homeroom that day when the news broke.